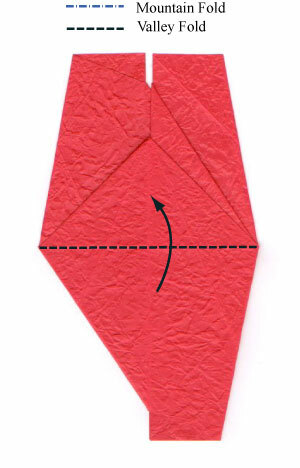 A valley-fold is applied to the 2nd flap. 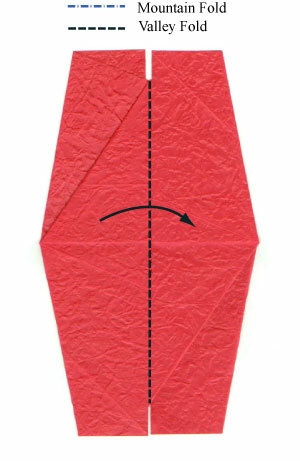 Vertical valley-fold according to the step #31. Prepare to apply horizontal valley-fold.